As you all know, The World Beer Cup was held last month. I'm not going to discuss the results, as they are to me as relevant as those of the Mexican Football League, but I will recommend you read this post by one of the winners. It explains very candidly some of the backstage details of this renown competition. If we add to this how easy it is to manipulate the competitions (and this is not a rumor, and not the only way it happens here), then, choosing a beer because of the medals it might have won is, at least, a bit naive. Velký Al deals with my favourite kind of beer, the Session Beer, but from another angle. Usually, the parameter used to define a session beer is the ABV %. Al, however, proposes to add the IBU. You may or may not agree with the figures, but it is a pretty reasonable train of thought. Zak Avery, using a great music analogy (even though I like House music as much as I like doing the washing up), asks how important consistency is. Very, I'd say. 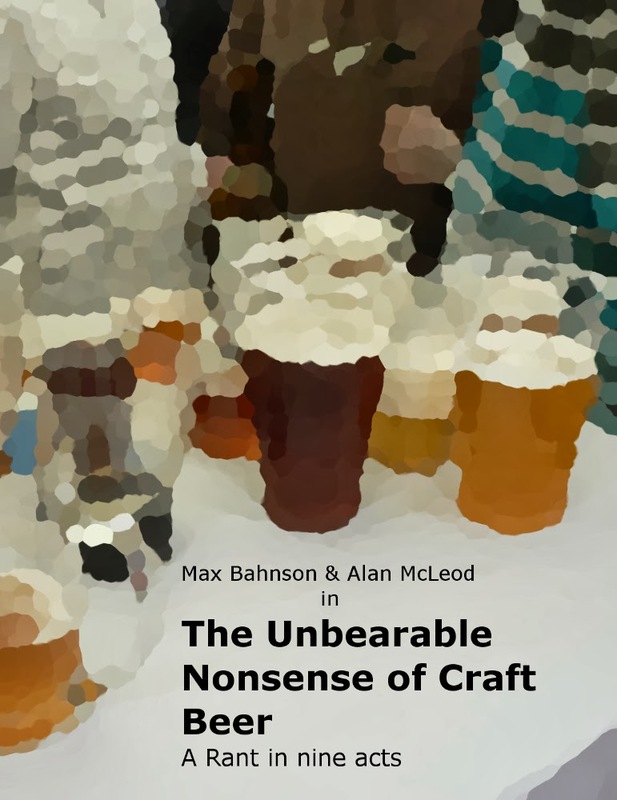 There some words in the beer vocabulary that tend to generate some controversy, "craft" is, perhaps the best known. Boak & Bailey would like to go beyond semantic debates and speak about a series of words that they quite like, for one reason or another. Interesting stuff. And since we are speaking about controversies. Another one that is discussed every now and again is the ethics of bloggers. Alan wasn't very amused by the idea of an English micro to have bloggers write why they deserve to get a free sample of one of their new experimental beers, and neither was I. The problem is that often the difference between blogger and fanboy is rather thin. Something that is used by some brewers, who believe we are quite easy to manipulate (and perhaps they are right). I've received free samples (and I've even asked for them, something I've promised myself will never do again) and I believe I've been fair with all of them and I've always tried to mentioned how it was that those beers got to my hands. Fortunately, It's never happened to me that I got a bad beer and sometimes I'm not quite sure what I would do in a case like that. Anyway, I agree with many that being transparent is the key. 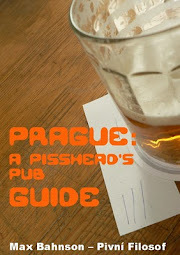 To those of you who know Czech, I recommend two articles. One of them asks what a connoisseur is (there are many people here who believe they are one just because they are able to pick Pilsner Urquell from a bunch of other beers) and the other one puts forward that this thing with the PET bottles (a controversial issue here) is just another evolutionary step, reminding the reader that at some point, glass bottles weren't all that well received. The history of beer is full of myth and surprises. It's great that we have people like Martyn Cornell, who work very hard to discredit the myths while, every now and again, coming up with some surprise, like the history of Skol, Brazil's best selling beer. Actually, Skol could be a good beer to use in this el experimento que propone Gizmondo. Interesting, but frankly, too much hassle. I prefer to use crap beer to get rid of slugs or, perhaps, to follow Cracked's pairing recommendations. Thank you for the interesting link to the article on Pividky. I'm too lazy to write in Czech now, so (with permission) I'll comment on it here. Having seen the Bernard billboards, I have to say I don't really understand who the target of this campaign is. I can't imagine that the billboards would sway anyone who would seriously consider buying Branik desitka in a 1.5 liter plastic bottle. Such a consumer is thinking of price and convenience, not tradition or quality. So this seems more like a swipe at the micros, who have really no other way to deliver their beer outside of kegs. This also doesn't make much sense to me, as I don't think that the micros are seriously cutting into Bernard's sales (am I wrong?). Anyway, I would be interested to hear your take on what's motivating this campaign.